When the 84 cherubs arrived on the Northwestern campus July 1, most did not know each other. They headed to Allison Dining Hall where they got to know each other better. They soon tired of dormitory food and organized off-campus outings. 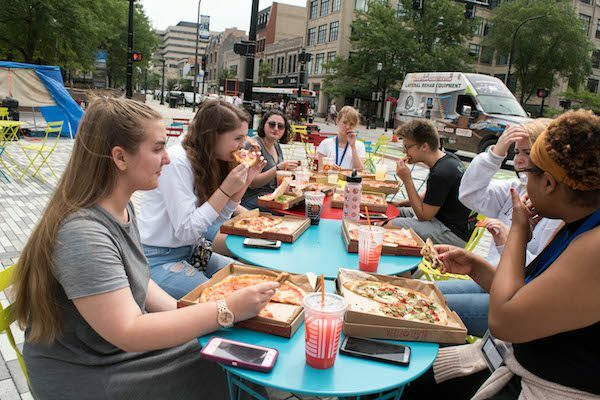 To meet new people and experience new places around Evanston, some cherubs began organizing group meals at various restaurants including Clarke’s, Table to Stix Ramen and Blaze Pizza. On the second Sunday of the program, Quan Pham of Hanoi, Vietnam, organized a “Brunch Bunch” to get to know more of his fellow cherubs. Though the group’s nickname quickly became a meme, Pham said going out for food was the best way for the cherubs to get to know each other better. After the first meal, the group went out two more times. Groups also went to Clarke’s to celebrate birthdays. Ryann Perlstein, also of Los Angeles, celebrated her 18th during the program, and her friends took her out for brunch. 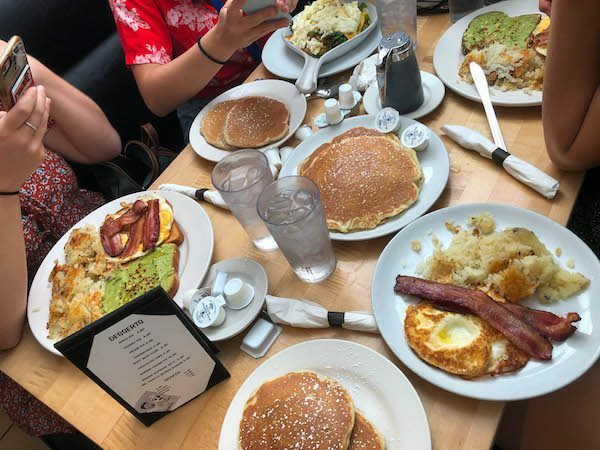 Wanting to get to know more cherubs, Noah Somphone of Fullerton, California, created a group chat with other Asian cherubs to plan shared meals. The group came to life, and Somphone and others went to Koco Table to share their experiences living in Asian households and to bond over food. 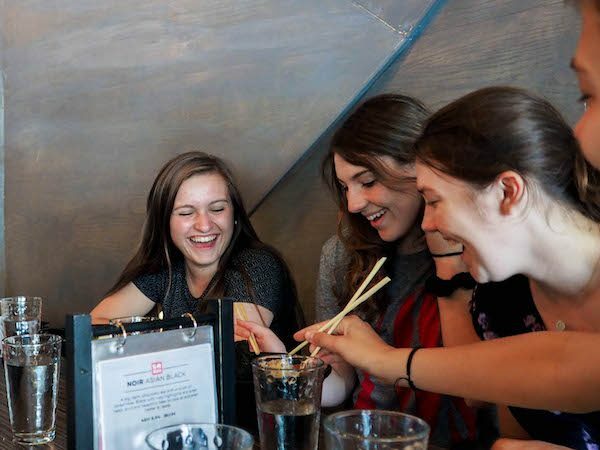 The group trekked to Table for Stix Ramen the following week, with more cherubs joining them. Other groups of cherubs also went there on separate occasions. Back at home, many cherubs catch up with their loved ones at Sunday family dinners. At cherubs, a weekly gathering by the same name helped people get to know each other. The group went on three dinners. The first two weeks, they ate at Blaze Pizza, and the last week, the group split up to get take-out from different restaurants and then met up at the Lakefill to eat together. 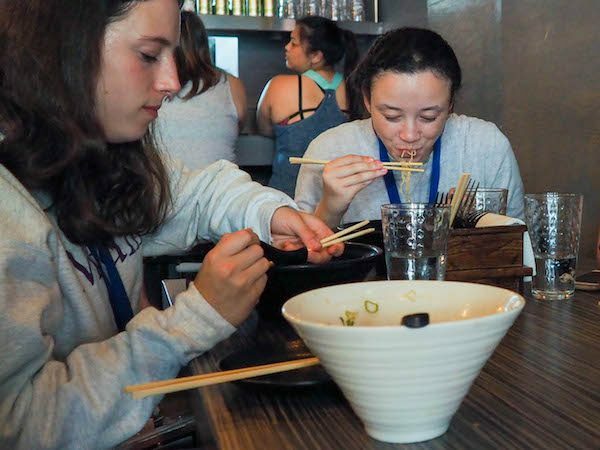 Talia Potters of Scarsdale, New York, and Anya Tullman of St. Louis, Missouri, coordinated the first meal. Carlson said the dinners also allowed people to share more information about themselves and commiserate about the upcoming week. “People here are really curious about other people’s lives, so the conversation was always moving,” Carlson said.